We call these products “manufactured stone edging” because they are designed to give the impression that they are made from stone. In fact, they could be made from any material, usually plastic or reconstituted stone. Reconstituted stone is formed from a mould and a mix of broken down stones and cement. 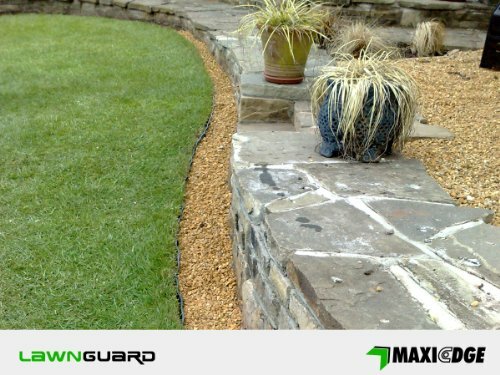 The result is a durable products that looks the part in any garden. The advantage of this technique over natural stone is the ability to easily form any shape, resulting in more quality consistent products that look natural. This entry was posted in lawn edging guide - tips and tricks and tagged guidance, manufactured stone edging. Bookmark the permalink.